Up to date health research and facts, leading you to live well, eat well, and love well, now and in the future. Social Security is a complicated program, yet you can’t afford to NOT know about your benefits. Many thanks to the Motley Fool’s Financial Planning Team who were kind enough to offer their five essential, but little known facts, about the Social Security Program to keep you and I in the know. Many retired Americans heavily rely on Social Security as their major source of income. In fact, 9 out of 10 people age 65 and older receive Social Security benefits. Even more shocking, half of married couples and three quarters of singles receive at least half their retirement income from Social Security. The numbers are not in our favor as fewer workers support more retirees. In 1950 there were 16 workers per Social Security recipient. In 1960 there were 5 workers per recipient. By the year 2033, only 2.1 workers will support one retiree’s Social Security. Social Security relies on its trust fund paid for by working citizens in order to cover shortfalls between taxes paid and benefits paid. The rumors you have have already heart are true: the trust fund is projected to run out of money in 2033. Once that happens, there are plans for retirees to receive about 75% of the benefits they would have received. The most little known fact about Social Security: every year you wait to claim your benefits until age 70, you will boost your annual payouts by 8%. In other words, waiting until you're 70 will give you 32% more in benefits than if you took them at age 66 and you can receive 76% more than taking them at age 62. 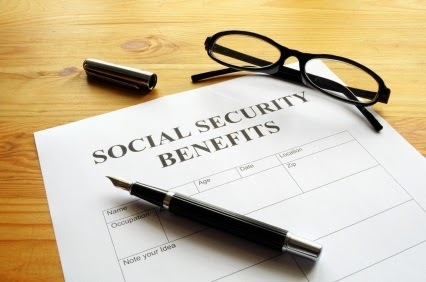 If you can afford to delay benefits until age 70 and if you live past age 82, you will receive more in lifetime income from Social Security than if you had waited until full retirement age.